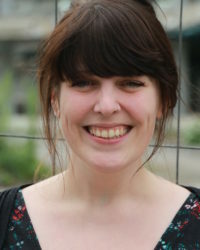 Pia Lamberty, M.Sc., is currently working as a Ph.D. student at the Department of Social and Legal Psychology at the Johannes Gutenberg University Mainz, Germany. Her main interests – and major research lines – are located in two subject areas: conspiracy mentality and psychological reactions to terrorist attacks. She aims to get a better understanding of how a lack of control as well as distrust influence people’s tendency to believe in conspiracy theories. Additionally, she is interested in the outcome of conspiracy beliefs (e.g. how conspiracy mentality affects health beliefs or information processing). A further research interest concerns psychological reactions towards terroristic attacks in order to better understand the interplay between emotional reactions to terrorist acts and prejudice.